Being a blogger I am stuck in the middle of so many different opinions when it comes to fashion and I know that there are a few mixed opinions surrounding this subject. My opinion is no it doesn't bother me and this is simply because fashion for me is more about how you feel when you are wearing something rather than what it actually is that you are wearing. I bet you're thinking "what a random start to a blog post" but I do have reasons behind it. A couple of weeks ago myself and my son were invited out for a spot of lunch and a visit to the pictures. My son being the age that he is, he wanted to dress up for the occasion and asked if he could wear one of his new jumpers. The jumper in question was a Run DMC number, and as we were walking towards the event venue he looked down at it and asked, "Is Run DMC a good make?" 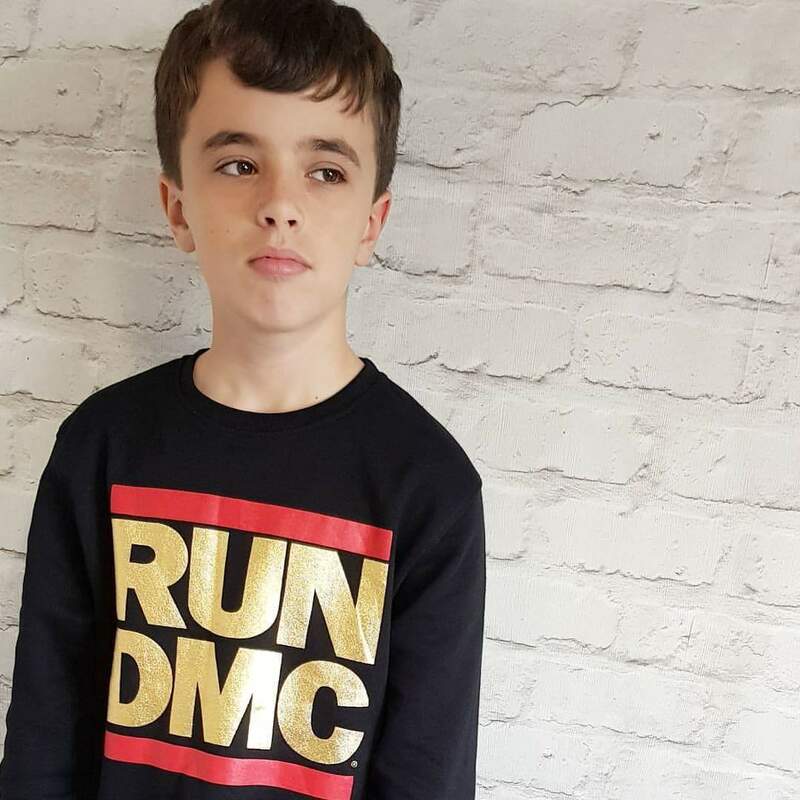 He's at a stage now where he will only wear branded clothing and I actually think he was just making sure that what he was wearing was branded so when I explained that Run DMC wasn't actually a clothing brand but was an old school Rap/Hip-Hop group he was a bit shocked. We had a conversation about band tops being really fashionable and he was reassured that he looked good and was happy in what he was wearing. We carried on the conversation a little and he asked me where he could get similar tops from, so we had a look when we got home and I told him about EMP who have a really great selection of band tops, a few which he became quite interested in. Brilliant for us to know with it being quite close to Christmas and having no other ideas about what to get him. It wasn't only the tops he was interested in either on the EMP website, he took quite a liking to a lot of the gaming novelty accessories, in fact, there was quite a few stuff that I wouldn't mind for myself. What are your thoughts on band t-shirts and tops? I love band tops, I have so many, I've lost count! I'm a really big music fan and write concert reviews on my blog. What I love about band t-shirts, is that you can design them well with other clothes you have and I think it can help to show off your personality and your interests. Also they're great way for bands to gain recognition!